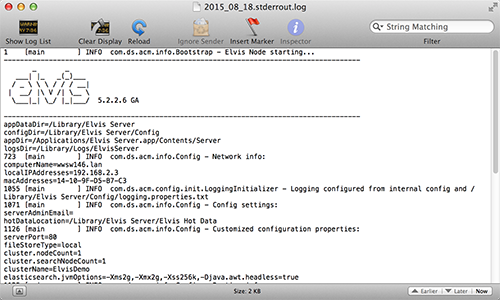 Note: Especially your Config folder can be useful in case you want to reinstall Elvis later. Step 1. 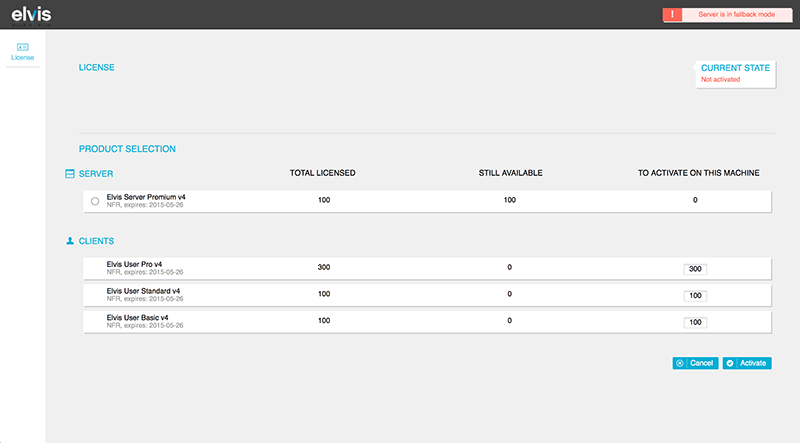 Access the License page of Elvis Server. Step 1a. Access the Elvis Server panel. Step 1b. Click Server admin page. Step 1c. Click License in the menu on the left to open the License page. Step 2. Access the Elvis Server entry in the windows Start Menu, click Uninstall and follow the instructions. Step 1. 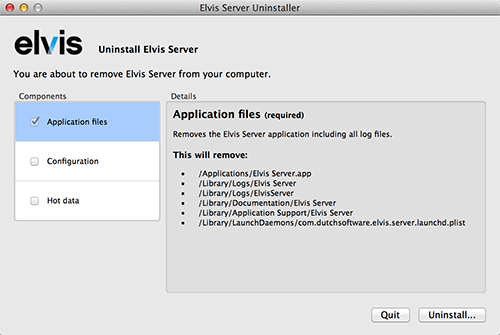 Open the Elvis server launcher by double-clicking Elvis Server in the Applications folder. Step 2. 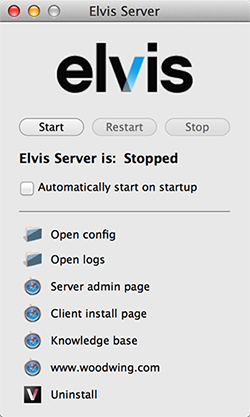 Start Elvis Server and wait for it to be completed. Step 3. Return to the Elvis Server Launcher and click Server admin page. Step 4. Access the License page and de-activate active licenses. Wait for the confirmation message that the de-activation was successful. Step 1. 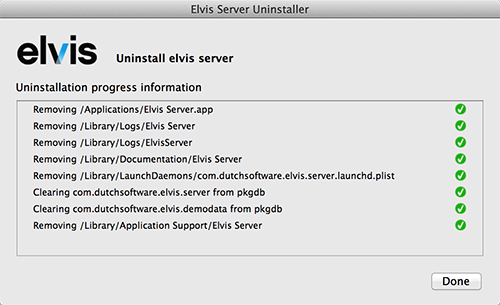 Return to the Elvis Server launcher, click Uninstall and follow the instructions. Step 2. Unmount any shared file store that you might have mounted on the Elvis Shared Data folder. Step 4. (Optional) Start your cleanup of /var/tmp/ again (Elvis will have put some files there). See Installing Elvis server for information about /var/tmp cleanup.